October is national fire prevention month. 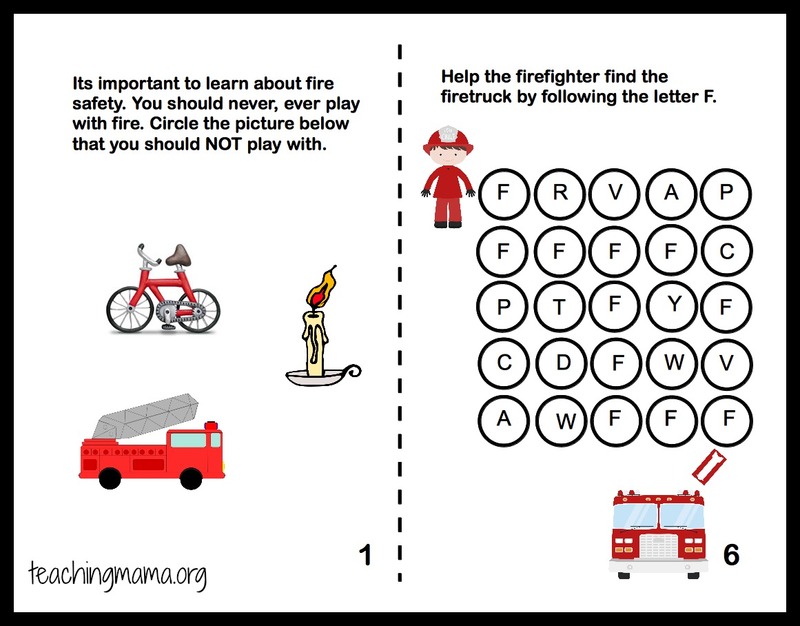 I am excited to share with you a few things we did for fire prevention month and learning about the letter F! 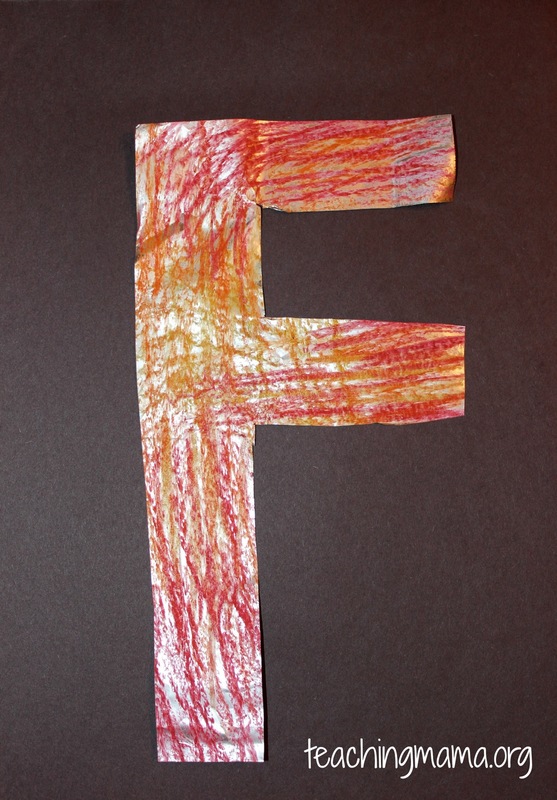 First, we made our letter F. We colored with oil pastels on tin foil and then cut out the letter F. It was fun for them to color on tin foil, since it was their first time doing this! The oil pastels were easy to color with and made the shiny foil look pretty! 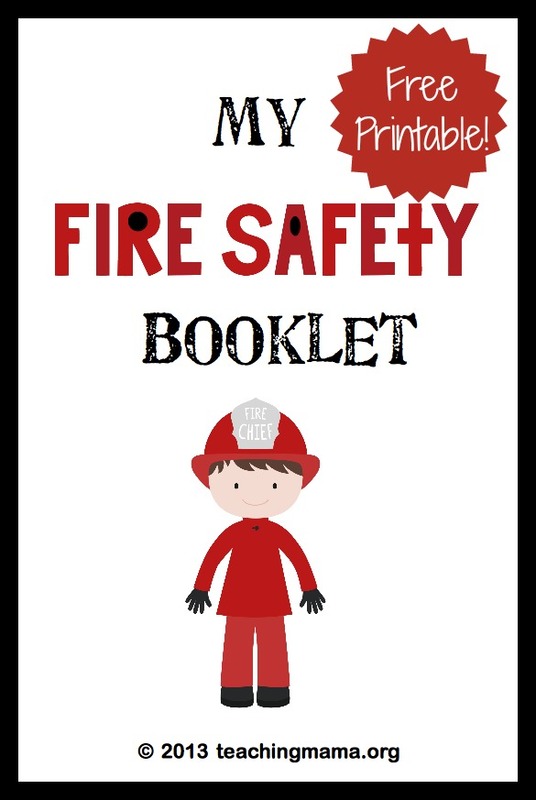 As I was planning to teach about fire safety, I decided to just create a booklet about it. I’d say his favorite activity was the maze from the firefighter to the firetruck. 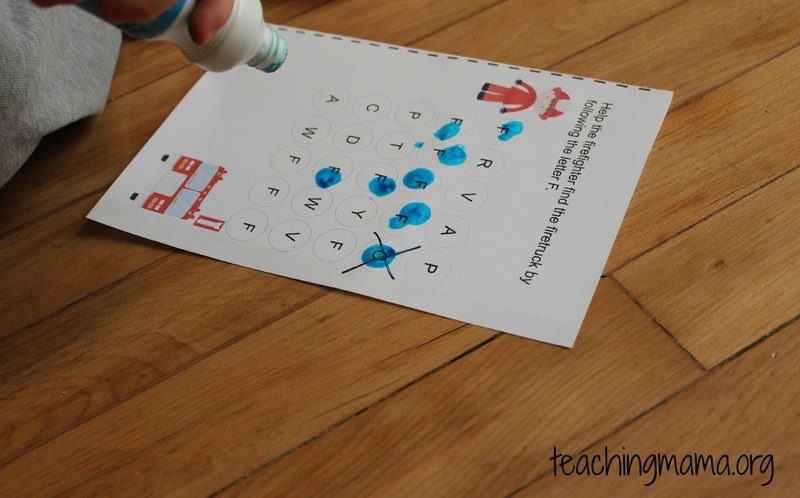 He used a Do-a-Dot marker to make dots on the letter F. He kept wanting to do this over and over again! 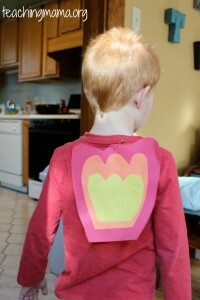 I put a paper “fire” on his back and we did the Stop, Drop, and Roll! He was confused when we first did this, but it was good to practice this! 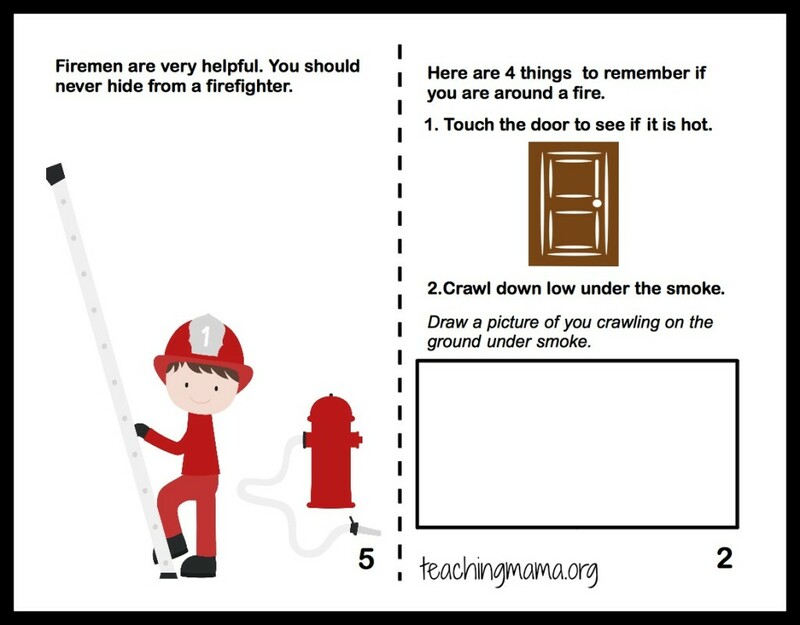 We had a great discussion about how to be safe when there’s a fire. Hoping we never have a fire in our house, but it’s always good to be prepared! After you print it out, staple the first two pages together (so the colored pages are facing out) and staple the second two pages together in the same way. Then fold the pages along the dotted lines and slide the second set of pages inside the first set of pages and staple on the crease so they stay together. You can also just cut out each individual page and staple together according to their page numbers. 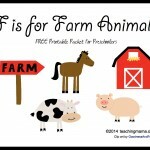 The adorable clip art is from Miss Tiina. 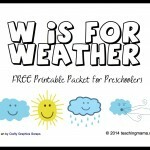 Have fun with this booklet! 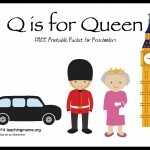 This booklet is perfect for Kg and 1st graders. Thank you!! I am a Home Visitor. 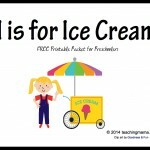 I work with families of children who are 3 and 4 years old. This booklet was a great help. Thank You. Thanks for sharing this book. 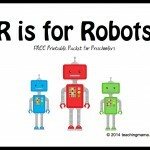 I am a Parent Educator and I work with children 9 mos-age 4. 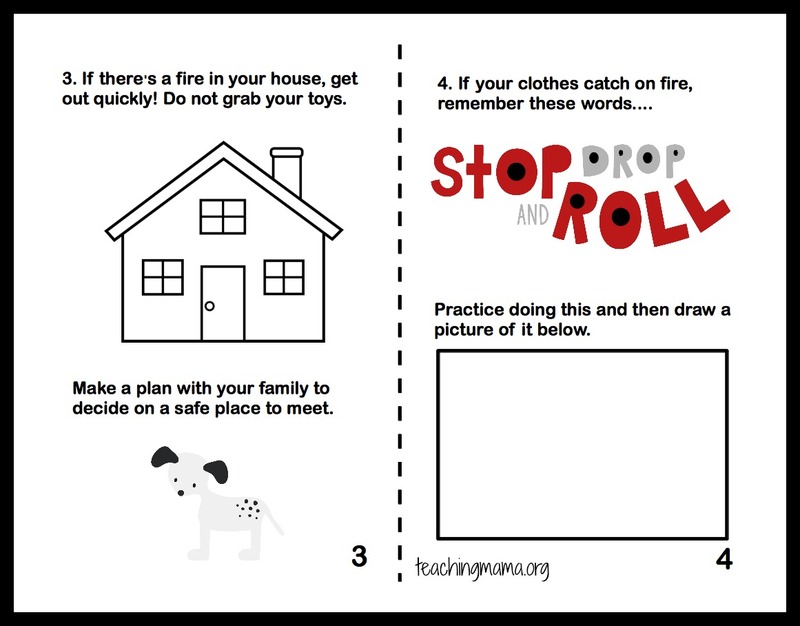 This will be great for Fire Prevention Week. Thank you for the printables. They are well-done. 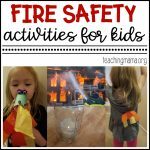 The children will enjoy learning about fire-safety. thank you for the printable, I’m a coordinator with a adult day program for intellectually challenged adults. They will love this.